Leveraging a collaborative and integrative approach, Anna guides executives in managing complexity and competing priorities, initiating and inspiring change, navigating crucial conversations, and communicating with authority and resolution. Anna approaches executive coaching under the premise that we can move forward without “armor,” and embrace our integrated, authentic selves. 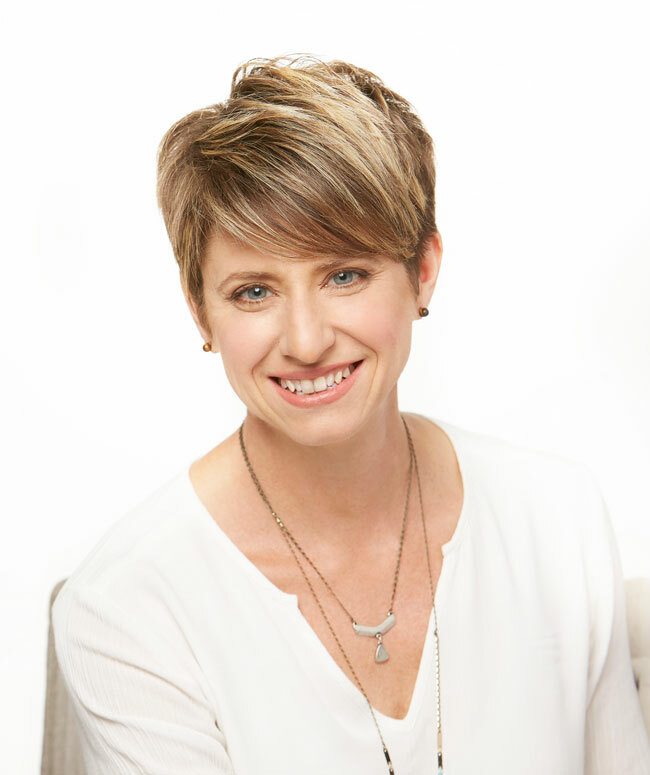 She helps clients navigate today’s dynamic business world with its continually increasing demands of delivering productivity and results with fewer resources. She encourages executives to view their workplace as a proving ground to encounter their own strength, express their values, and clarify their intentions. She provides a judgment-free, supportive environment to expose blind spots, create connections between seemingly unrelated ideas, and uncover patterns of behavior that would benefit from change. Anna works with executive clients to assess their behaviors and intrinsic motivators, empowering them to alter unrewarding work habits and step out of their own way. Her clients learn to lead with confidence, integrity and focus, inspiring their teams to bring their best selves to work. [Anna] helped me see broader opportunities for growth. Anna’s greatest strength is that she is both unassuming and assertive in her approach. Her ability to listen attentively while guiding our sessions helped me see broader opportunities for growth that I otherwise would not have known existed. Working with Anna was the first step in my executive coaching journey and in 8 weeks of working together, I always felt understood, heard and challenged. If you are looking for a coaching partner to hold you accountable to your goals with astute thoughtfulness, do not hesitate on working with Anna! Anna’s various techniques and thoughtful ideas opened up space for me to discover and play. This motivated me to take action on furthering goals without feeling pressure. Anna’s empathetic listening helped me feel understood and confident. She’s just the person I needed when going through an overwhelming transition. Anna believes that when we are in the right career – where our dreams, purpose and abilities align – we have the drive and energy to be our best selves. Anna works with individuals to overcome the stress and overwhelm that can accompany a lack of career clarity. Capitalizing on her keen skills of observation and listening, Anna knows how to ask powerful questions. She offers perspectives that help clients develop insight, self-awareness, and greater effectiveness. She views careers as an opportunity to apply our intellect, hone our abilities, and leverage our innate talents. Work can be the place in which we sharpen our skills, contribute to a larger purpose, and ultimately take risks that allow us to grow as professionals. Anna creates a safe environment to explore both long-held beliefs and new ideas. She facilitates deeper awareness, and provides compassionate, rigorous support throughout the JMA Career Discovery process. She helped me build my confidence and maturity, which I carry with me to this day. She helped me at a time in my life when I was confused and scattered. Anna guided me through my strengths and weaknesses, which gave me a greater understanding of what choices I was making and how I would make them in the future. She helped me build my confidence and maturity, which I carry with me to this day. I’ve learned to become calm, patient and decisive … skills that have helped me bring about the results I wanted to achieve. I began working with Anna when my role as a leader had changed, and I had taken on more responsibilities. My confidence needed a boost. She was able to show me, through many meaningful conversations and exercises, that I was ready for this new role and that I could be confident with what I had to bring to the position. Fulfilling her passion to help people, Anna applies her 20+ years of corporate and professional experience to the practice of coaching. Prior to her career in coaching, Anna worked for Appraisal Institute in a variety of roles. She designed, delivered, and coordinated training and development programs for the company’s employees across all levels and functions. She was also directly involved in developing her direct reports’ skill sets and supporting them in career advancement opportunities. Building upon her early career satisfaction found in helping others advance vocationally, Anna transitioned into coaching to have more impact and influence on her clients’ professional development and growth. Anna helped me figure out what I really want my life to be. Anna was able to accommodate a wide range of my needs. … Her intelligence, flexibility, patience and sensitivity made it possible for me to navigate the coaching process during a difficult time in my life. Years later, I’ve remained strong and optimistic and connected with what is really most important to me. Anna helped me figure out what I really want my life to be. Anna helped me disrupt the pattern of circular thought that had been holding me back — an obstacle I wasn’t even aware of until she identified it. She gave me a simple blueprint for defining goals, focusing my attention, and taking decisive steps toward progressing my portfolio. Anna earned a Bachelor’s degree in Marketing and HR Management from the University of Missouri-Columbia. As a coach, Anna has earned certifications from both Life Purpose Institute and New Ventures West. She obtained her ACC accreditation from the International Coach Federation. Anna is also a Highlands Certified Consultant. She stays on the cutting edge of coaching practices by engaging in ongoing course study in emotional intelligence, human performance improvement and the Enneagram. How can Anna help your career? If you’re ready to achieve measurable change in your leadership or career, contact us today.